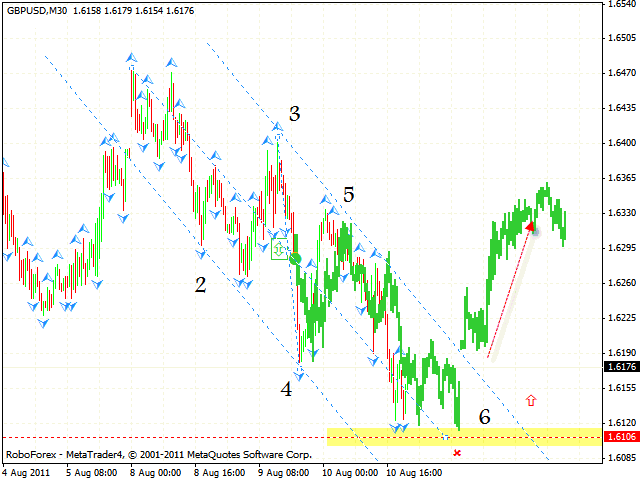 The EUR/USD currency pair went back to the level where the descending channel had been broken. One can consider opening long positions on the pair, but only until the price breaks the local minimum at the level of 1.4052. 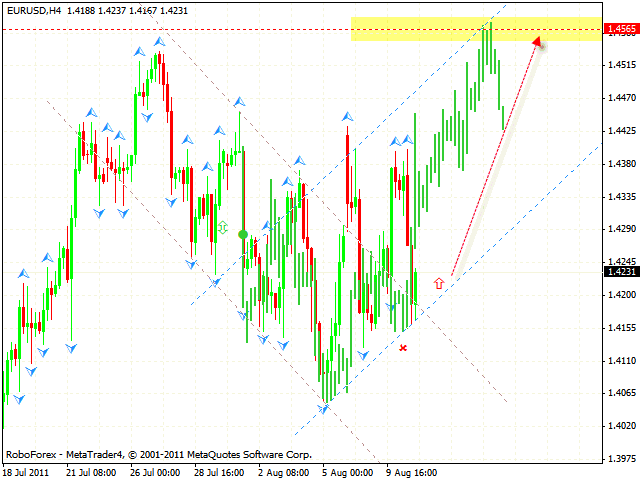 Right now one can try to buy the pair with the tight stop below 1.4140. The closest target of the growth is the area of 1.4565. Pound has reached the targets of the descending symmetrical pattern. 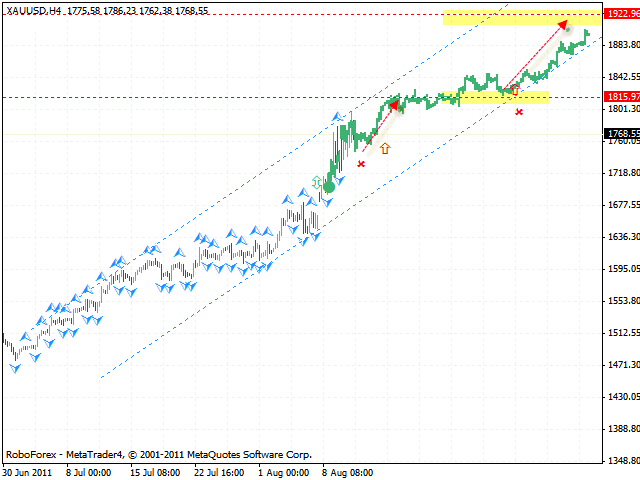 One can consider buying the GPB/USD currency pair only after the price breaks the descending channel’s upper border. The target of the growth is the area of 1.6330. If the price falls lower than 1.6085, this case scenario will be cancelled. 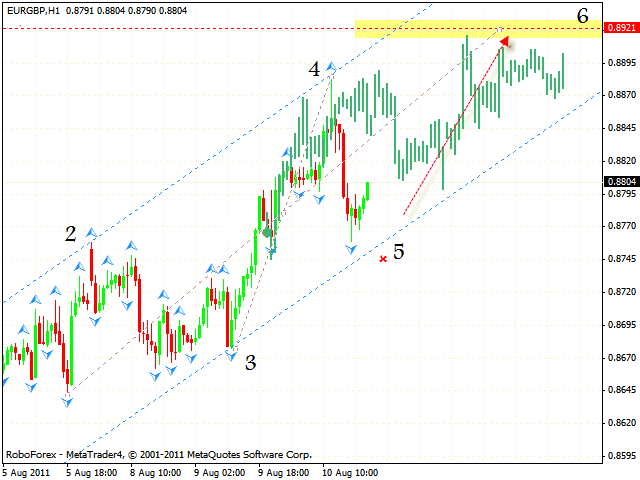 Australian Dollar keeps moving inside the rising channel. 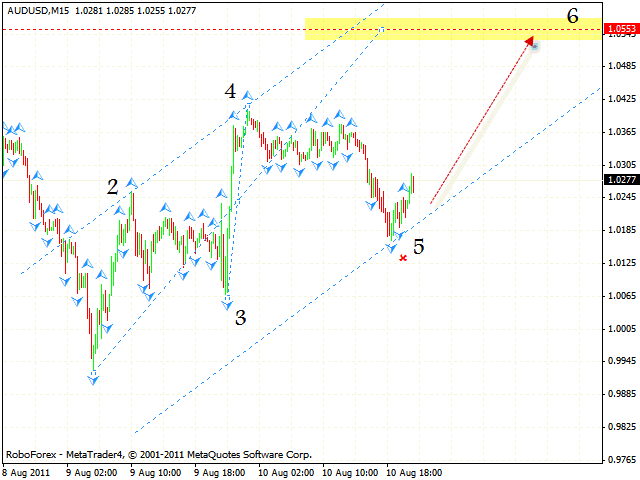 The target of the growth is the area of 1.0553, one can try to buy the pair with the stop below 1.0185. If the price breaks the rising channel’s lower border and leaves it, this case scenario will be cancelled. We recommend you to consider increasing the amount of long positions only after the price breaks the level of 1.0305. The EUR/GPB currency pair is moving inside the rising symmetrical pattern with the general target in the area of 0.8921. One can consider buying the pair near the rising channel’s lower border. But if the price breaks the level of 0.8745, this case scenario will be cancelled. Gold continues growing. At the moment we should expect the instrument to test the level of 1815, which is supposed to be a starting point of the growth into the area of 1922. But if the price breaks the channels lower border and leaves it, this case scenario will be cancelled.